These spring RV adventures will get your motor running. 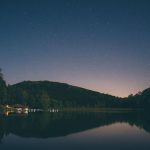 Find RV parks near exciting destinations on Good Sam’s Outdoor Adventures page. RV travelers diligently feed their vehicle’s need for fuel, so it only makes sense that we quench our thirst for thrills as well. Why not start your spring travels with a bang? We’ve selected 11 springtime destinations across North America that will satisfy your appetite for adrenaline. Speed freaks can indulge in auto racing in Nevada and or zip lining on the Atlantic Coast’s Grand Strand. Nature lovers can commune with aquatic beasts in Florida’s Crystal River. Regardless of your taste, these destinations awaken your inner thrill seeker. The rugged mountains and hills surrounding Tucson attract legions of mountain bike enthusiasts to the Arizona desert. Riders can choose between an urban adventure in Tucson (the second-largest city in Arizona consistently ranks as one of the top U.S. cycling cities) or the trails that wind the surrounding mountains. 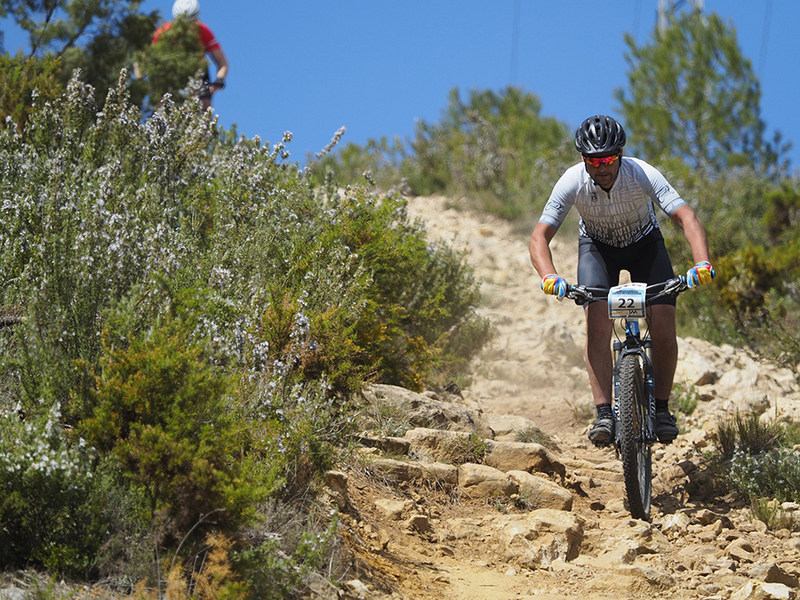 The Sweetwater Mountain Bike Trails lead cyclists up challenging inclines, through fun downhills and along winding paths between cactus and chaparral. Sign up for one of the area’s races and test your biking mettle. Good Sam Parks in Tucson. The coastal cliffs on the Pacific Ocean near San Luis Obispo County’s Pismo beach are riddled with caves and rock arches. 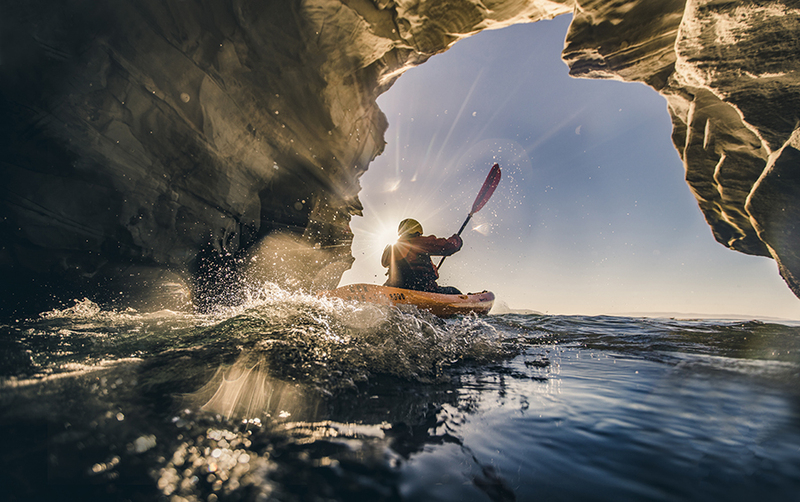 And kayaks, with their maneuverability and nimble size, are perfect for subterranean exploration on the water. Join a tour to explore grottoes, kelp forests and arches and protected coves. Dinosaur Caves will dazzle you with soaring rock formations and currents surging between rock walls. 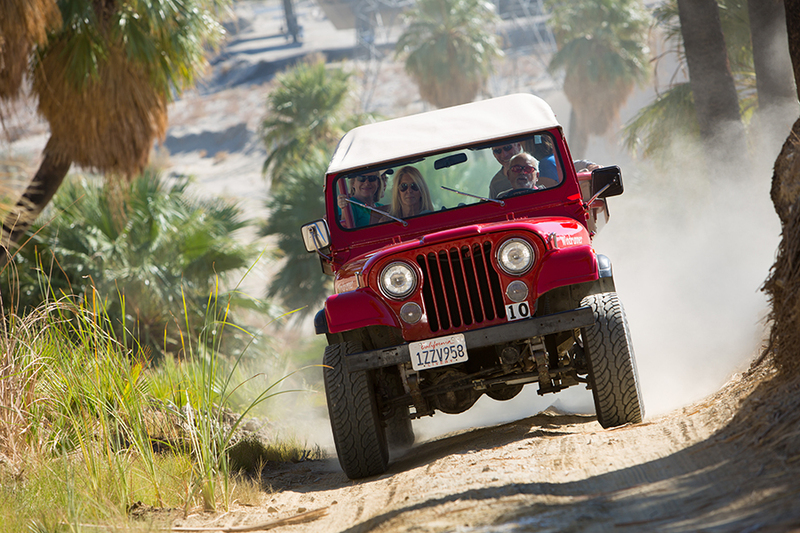 Go deep into the desert around Palm Springs on a jeep that traverses rugged trails. Outfitters like Desert Adventures Red Jeep Tours convey visitors to Joshua Tree National Park, Mecca Hills/Painted Canon and the San Andreas Fault. Explore remote desert trails and rock features found far away from the crowds. Jeep guides are schooled in the plants, animals, history and Native American culture, enabling them to paint a clear picture of the region’s background as dazzling as the scenery. Florida manatees weigh 1,300 pounds and exceed 10 feet in length, but you shouldn’t be intimidated by their size. These gentle giants that swim slowly through the Crystal River on Florida’s west coast aren’t bothered by human visitors. 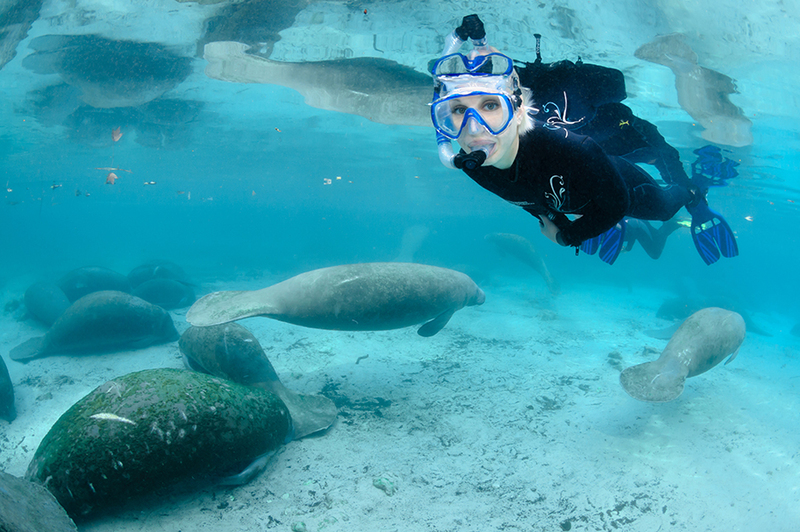 Fortunately, several outfitters in the region set up visitors with wetsuits and snorkeling gear so that they can commune with these gentle “sea cows.” So take the plunge and meet the manatees! 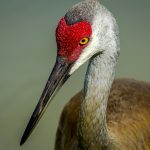 Covering a 1.5 million-acre swath of southern Florida wetlands, Everglades National Park encompasses freshwater sloughs, tropical hardwoods hammocks and thick cypress forests. 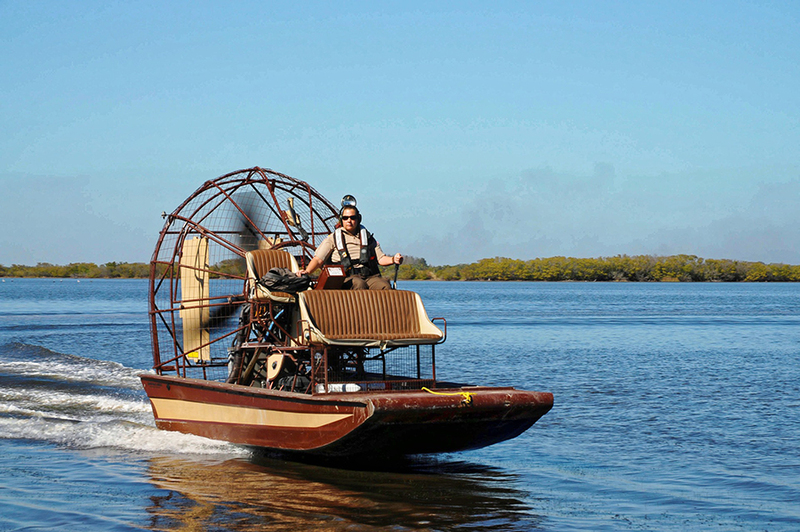 Zoom through this vibrant ecosystem at high speeds aboard an airboat, a flat-bottom crafted that’s pushed across the water in an aircraft propeller. Sign up for a tour, strap in and feel the wind in your face as you zoom across the surface. 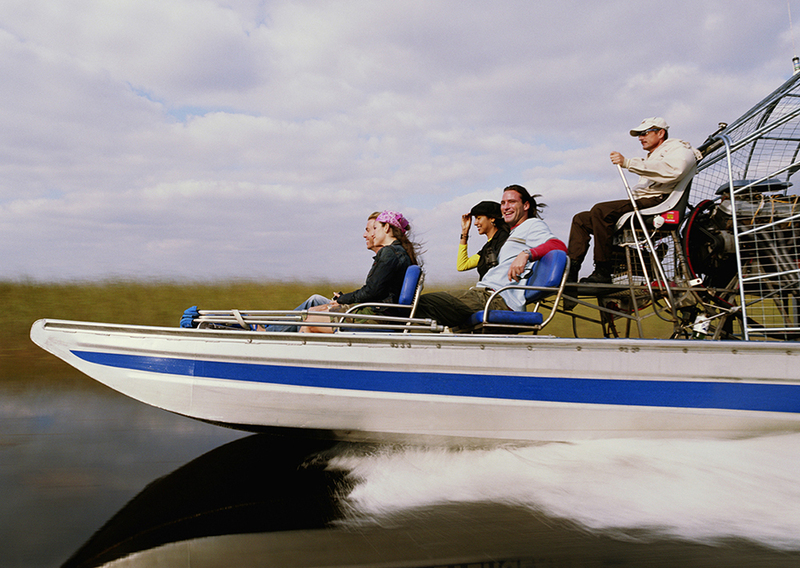 The only thing more thrilling than the speed is spotting the gators that swim the glades. The region surrounding Houma is renowned for the hefty alligators that swim in the bayous. 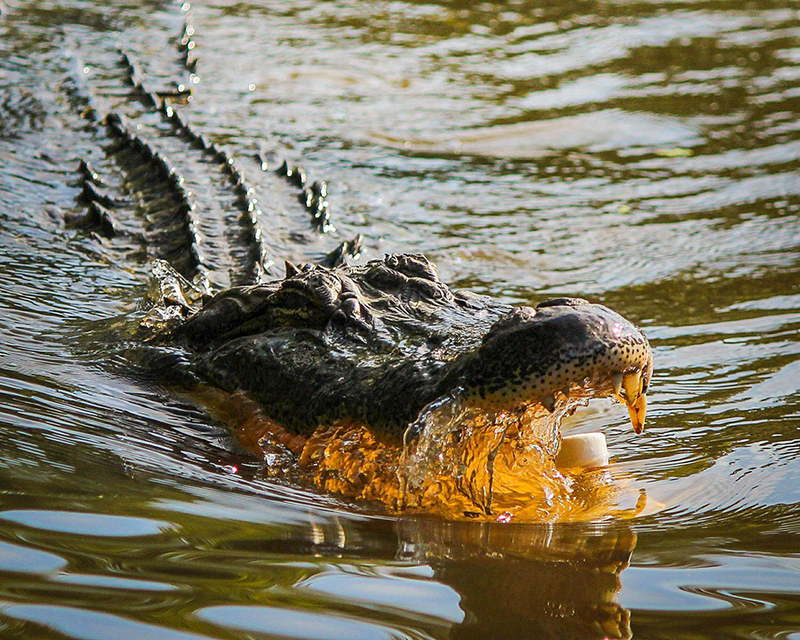 Take a swamp tour for a close look at these reptiles, which can reach 15-feet in length and weigh a 1,000 pounds. Several outfitters take visitors on cruises to see these creatures from the safety of a boat; some even offer high-speed airboat tours. For a closer look at the scaly critters, drop in on Greenwood Gator Farm in nearby Gibson, where you can watch baby gators hatch from eggs (they’re actually kind of cute). About 60 miles west of Las Vegas, the Spring Mountain Motorsports Ranch in Pahrump allows would-be racers to put high-powered sports cars through their paces. 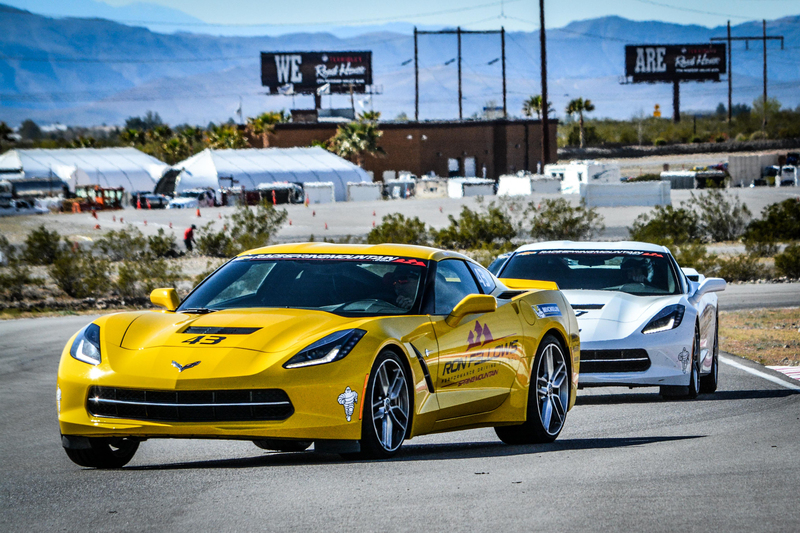 The track is home to the Ron Fellows Performance Driving School, where motorists of all experience levels can get behind the wheel of a Corvette and learn about advanced cornering techniques, open-lapping and progressive car control exercises. Navigate banked curves and tight corners like a racing pro. Known for its spoonbill protrusions and hefty size, the paddlefish is one of the largest freshwater fishes in the United States. They flourish in Oklahoma’s Grand Lake o’ the Cherokees, and spring is the optimal time to catch these hefty critters, whose ancestors swam in North America’s lakes during prehistoric times. So what are you waiting for? Get your Oklahoma State Fishing License, consult a local guide, and get ready to snag a sizeable specimen (the paddlefish record is 100 pounds, while 50- and 75-pound catches aren’t unusual). A popular vacation mecca, Myrtle Beach delivers lots of food, entertainment and water recreation on a bustling ocean shore. But if you want to inject some adrenaline into your excursion, ride a high-speed zipline over water 50 feet in the air for 1,000 feet. 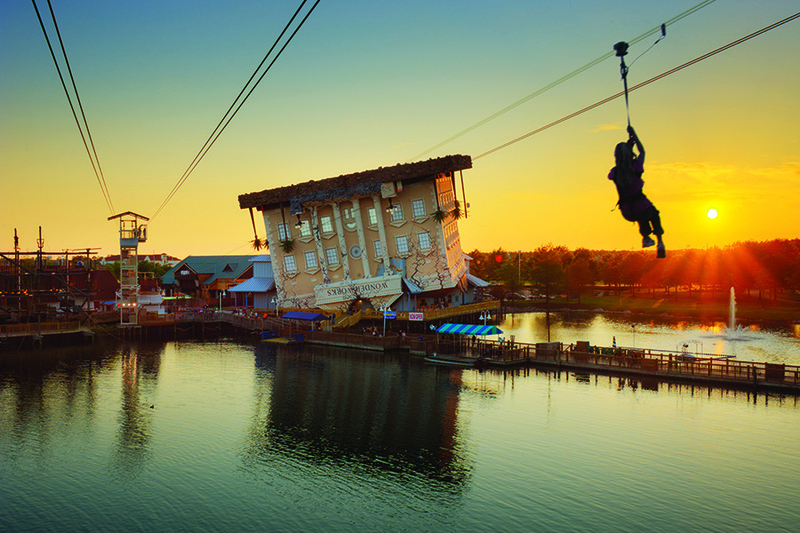 The Soar & Explore Zipline & Ropes Course, part of the Wonder Works complex, also features a tropical-themed rope course with more than 33 challenging elements. Conquer your fear of heights in a safe, fun environment. As the temperatures rise in Austin, the locals cool off in the city’s enticing array of natural swimming holes. 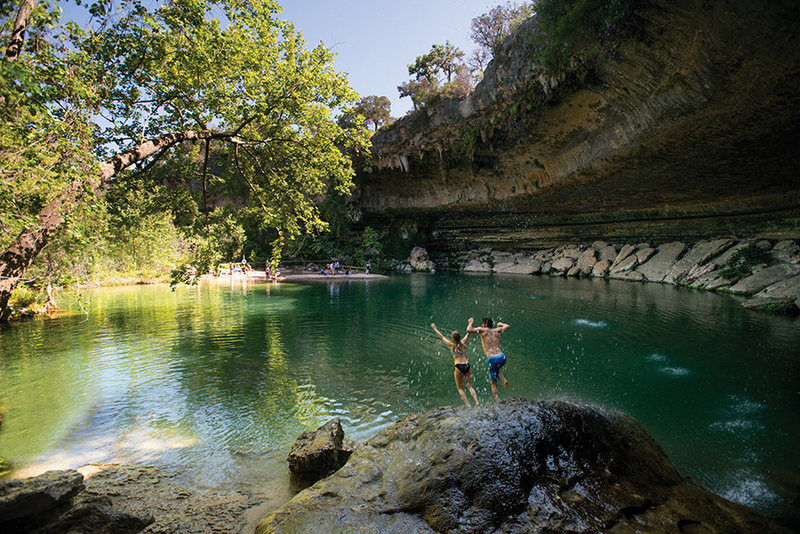 Take refreshing dips in places like Hamilton Pool Preserve, which is surrounded by cliffs for abundant shade. Several swimming holes have jumping rocks for thrilling leaps, but make sure the water is deep enough for your landing. After a day in the water, catch a music show at one of the city’s many legendary music venues. Zion National Park consists of 148,000 acres of towering waterfalls, sheer cliffs and majestic peaks. Several trails lead hikers through jaw-dropping scenery, but to really get acquainted with the landscape, nothing beats rock climbing. Seasoned climbers covet Zion for its Navajo Sandstone, which offers excellent routes for climbers of all levels. 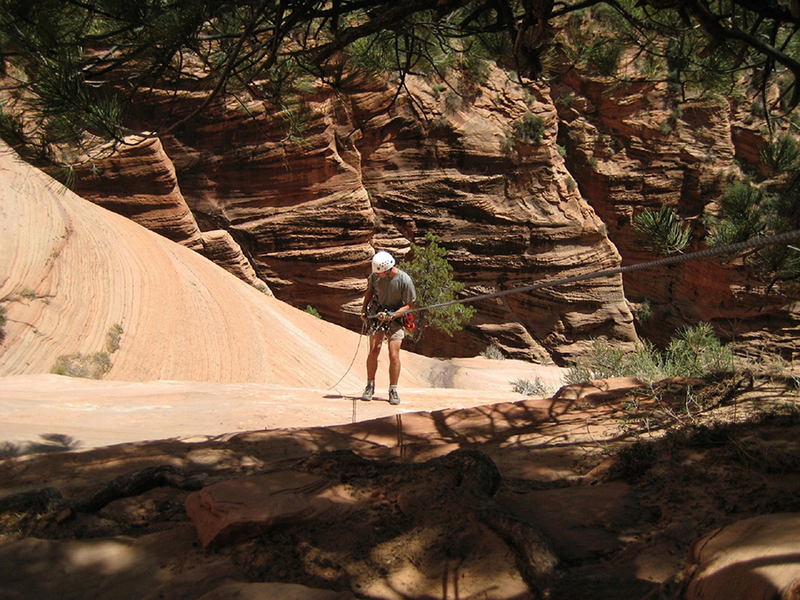 Outfitters like Zion Adventure Company guide climbers of all abilities and ages through fun and challenging environments. Learn how to use ropes, pitons, and your hands and feet for unforgettable adventures.